Costa Rica may be a small country—it’s about the size of West Virginia—but it’s incredibly diverse as far as the landscape, climate, lifestyle, and “feel” you’ll experience in its different regions. You’ll find plenty of lush rainforests filled with capuchin monkeys and sloths, and jungle-covered mountains cascading down to the glittering Pacific. That’s the Costa Rica you see on tourism board promos and vacation photos from friends on Facebook. There is plenty of that in this Central American country. But also so much more. Tiny farming villages surrounded by hillsides carpeted in coffee plants. Bustling market towns with street vendors shouting out their daily deals. Busy beach resort towns where you can rent a chair and umbrella and have margaritas brought to you all day. If the heat and humidity of the coast doesn’t appeal to you. You could check out the Central Valley in the mountainous interior. Surrounding the capital, San Jose, the elevation in this region starts around 2,000 feet, with most living between that and 5,000 feet. That means temperatures in the mid-80s F during the day and dipping into the 60s F at night—no air conditioning or heat needed. This is traditional Costa Rica, with few tourists. You have a small-town vibe in communities like Grecia and Atenas, which are popular with expats and surrounded by farmlands and natural areas. Yet the best medical care in the country and the best shopping is just down the road in San Jose. Many expats live in homes on hillsides, with expansive valley views—prices start at about $120,000 for a two or three bedroom, with rentals starting at $500 per month. 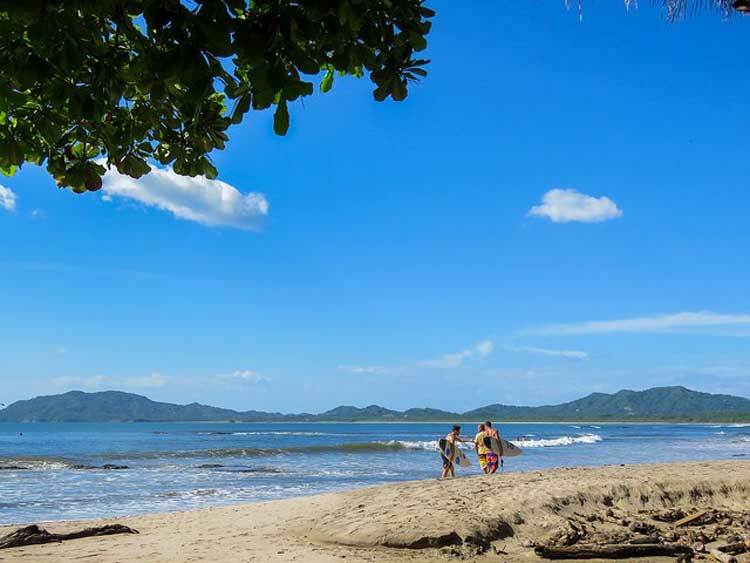 On the northern Pacific coast, you have a string of towns, like Flamingo, Tamarindo, and Playas del Coco, that offer the ultimate beach lifestyle. Boating, sport fishing, and surfing are huge here. And onshore you can enjoy live music every night, yoga classes, 18-hole golf courses, and gourmet restaurants. There are quiet areas on this stretch of coast too, hidden beaches that you can have all to yourself. 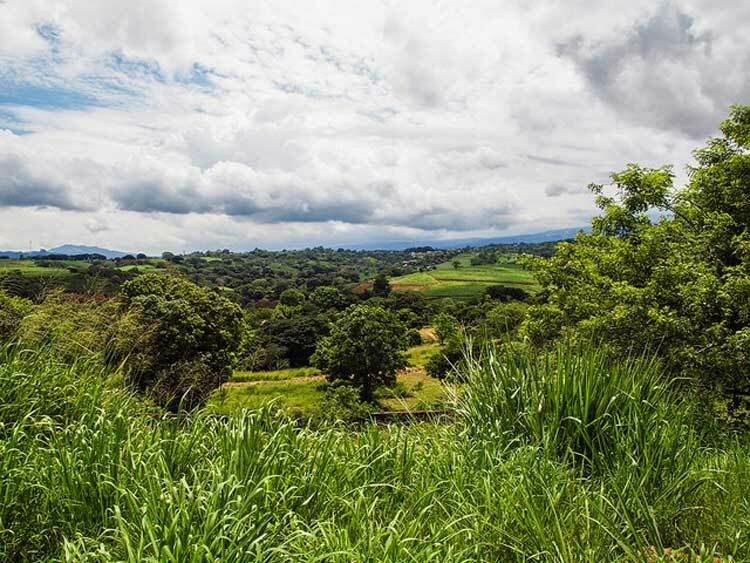 Costa Rica does have a rainy season, with showers—usually in the afternoons—from roughly May to October. But on the northern Pacific coast, it’s much briefer, with less rain. It’s the driest region of the country and gets the most sunny days, which means you can spend more time enjoying the outdoors. Walk-to-the-beach condos, in the heart of the action with no car needed, start at about $78,000 for a two-bedroom, although you’ll pay double or more for a luxury unit with an ocean view. You can rent a one-bedroom condo in the heart of Playas del Coco for $450 a month and up—perfect for the many part-time residents who come to escape the North American winter. For years, the Costa Rican government didn’t pay much attention to the southern Caribbean. That means although utilities are in place and you have modern services, there is much less development. There are no big condo towers or large resorts on this coast. 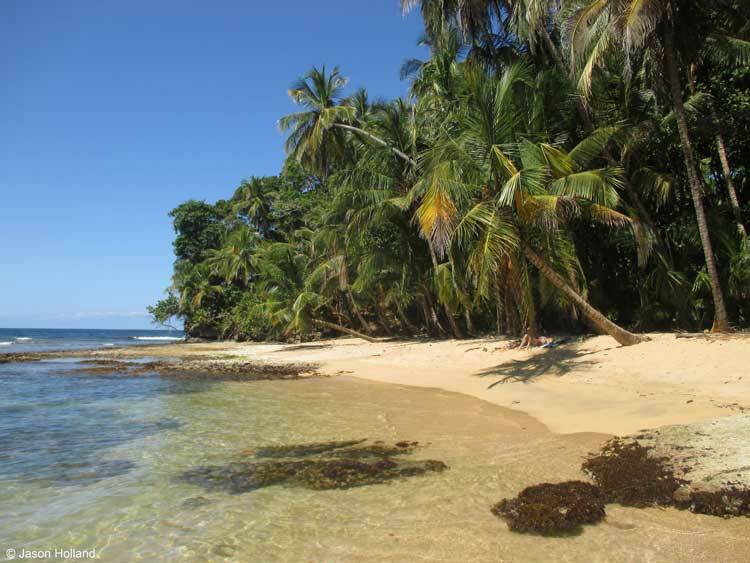 Rather, you have the jungle filled with towering tropical hardwoods…and white-sand and golden-sand beaches… pristine, undisturbed natural beauty…with small villages like Puerto Viejo and Cahuita sitting by the sea. Here you can get around by bike, pedaling down the meandering narrow—and paved—coast road that parallels the beach. Open-air cafés and restaurants can be found here and there among the trees. The feel is bohemian…super laidback. It’s the perfect place for those looking to “drop out” and find a simpler life. Two-bedroom homes, usually set in the jungle, start around $130,000. Because of a shortage of properties, rental prices are relatively high—starting around $700, although you can get deals by asking around once you’re there. 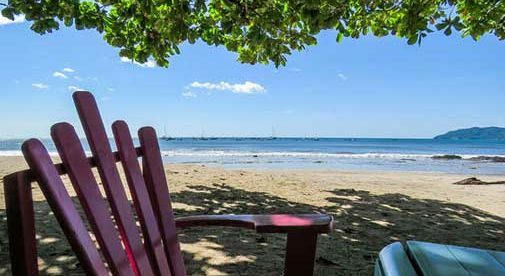 What unites all these regions is the lower cost of living (a typical retired couple can live well on $2,000 to $2,500 a month) and top quality medical care that costs a fraction of what it does in the U.S.
Of course, there’s also the national motto: Pura Vida. Basically, it means “life is good” and it’s the happy-go-lucky attitude that you can quickly adopt just like your Tico (Costa Rican) neighbors. And note that Costa Rica is also a modern country, with high-speed internet, sophisticated banking, good cellphone service, and clean drinking water. And as an established expat destination for going on 40 years, there are plenty of expat communities you can easily fit into—newcomers are definitely welcome. So all in all, it’s an easier transition than you might think.